The interactions of lysozyme and myoglobin with anionic surfactants (hydrogenated and fluorinated), at surfactant concentrations below the critical micelle concentration, in aqueous solution were studied using spectroscopic techniques. The temperature conformational transition of globular proteins by anionic surfactants was analysed as a function of denaturant concentration through absorbance measurements at 280 nm. 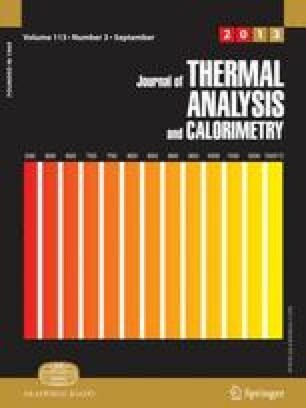 Changes in absorbance of protein-surfactant system with temperature were used to determine the unfolding thermodynamics parameters, melting temperature, T m, enthalpy, ΔH m, entropy, ΔS m and the heat capacity change, ΔC p, between the native and denatured states.